High Stakes Poker - What’s Your Limit? 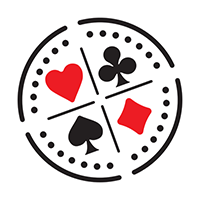 ​Everyone knows what high stakes poker is – its games where the dollars are thrown around in man-size bricks isn’t it? But what amount would really make it high stakes? Beating casinos at blackjack and winning big at poker would seem to be two entirely different disciplines, but for one young, bright and extremely beautiful woman it became her life. Gus Hansen is Back, But Who is Next? ​The glory days of online nosebleed games may be over, but can we expect a comeback from the guys who made it the most fascinating and nerve-wracking high-stakes war in poker history? In the following hand, Ivey faces David “Viffer” Peat, a well-known and charismatic poker player who used to be a pool hustler earlier in his gambling career. Maybe next time you open your favorite poker room or go to your nearby casino, you will too go deep into the tank and start thinking about actually making epic folds. Because it happened ladies and gents at this year’s WSOP Main Event. Phil Ivey, considered by many to be the ‘greatest of all time’, finally appeared at this year’s World Series of Poker to join Day 1C –his first, and only, event of the series. Which Country Really has the Best Poker Players? Many poker enthusiasts find themselves wondering which country has the best poker players in the world and that's precisely the question we'll attempt to answer today. Who Will Be the First Player to Cash For $100 Million? Predicting who will get there first is no easy task considering nobody is even close right now, let’s start by assessing the top 5 from Hendon Mob’s all time money list. ​Today is the day when Full Tilt finally closes its doors as a poker site in its own right, disappears into the fold of PokerStars, and essentially becomes ‘just another skin’ in a market replete with them.